Very nice great condition light use. Polo Ralph Lauren polo top, never worn in good condition, size Small men’s. Gents Ralph Lauren light sweat Tshirt. 100% authentic brand new with tags . Ralph Lauren Linen Shirt Size Small BNWT Pink. Condition is New with tags. Dispatched with Royal Mail 1st Class. 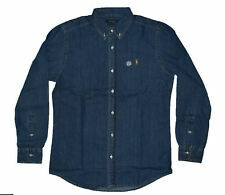 This is a Stunning Ralph Lauren XXXL shirt in Classic Navy With Blue Pony. Condition is Used but it’s in great condition. Label says XL but is a US Blaire so very big and roomy - fits more like 3XL as put to pit is 29” Chance to grab a great shirt and at a low starting bid. Please ask any questions and thanks for looking!! Premium quality. 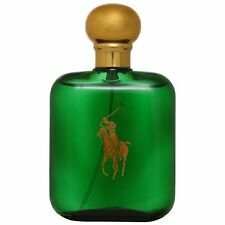 Contrasting kelly green embroidered Ralph Lauren Polo logo. Classic semi fitted style. Fits really nicely. Size Small. 78 cm long from collar base to hem. 44 cm from shoulder to shoulder. 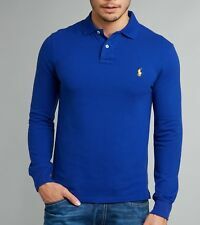 Ralph Lauren men’s small long sleeve Blue T-shirt.